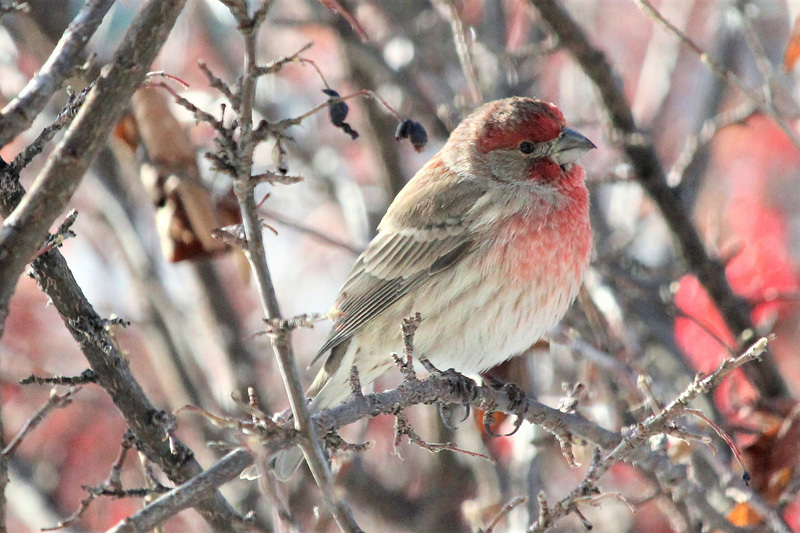 Along with the Blue Jay, a House Finch was also spotted during Chestermere’s first Christmas Bird Count on Dec. 29. The House Finch only appeared at Don Cassidy’s home. Photo submitted. Three locals kept a look out at the bird feeders in their backyards to see what was flying around the city during Chestermere’s first Christmas Bird Count on Dec. 29. Christmas Bird Count Organizer Don Cassidy went a little further afield for his count, driving about 60 km out of Chestermere looking for different species of birds. “I was really hoping to spot a Snowy Owl,” Cassidy said. According to Cassidy, the most common type of bird spotted was the Rock Pigeon. “There was a massive flock of those, I counted 110. They came up in three big groups and I thought, man they are putting on a show today,” he said. While the most interesting species that was spotted during the day’s watch were four Northern Flickers. Roughly, 210 birds were counted in Chestermere, and in the surrounding area. “The day after the count, we got all kinds of hilarious things flying by. We had a Waxwing, which I hadn’t seen anywhere in the area land in our tree in the backyard, it was like why are you here today and not yesterday? “We died laughing, we probably had over 200 Canada Geese fly over, it was hilarious,” Cassidy said. He added, “It’s all where they fly, and where they decide to stop, it’s quite a random thing you just never know. “Elaine [spouse] always puts it, birds are where you find them, and sometimes it’s in really random spots,” he said. Cassidy considers the Christmas Bird Count to be a success as those residents who participated are interested in being involved in future bird counts. “Hopefully we will get a few more to cover the area,” he said. Currently, Cassidy is planning to organize another Christmas Bird Count, and possibly one in the spring. Without the help from the residents who stepped up and volunteered their time, the Christmas Bird Count wouldn’t have been possible, Cassidy said. 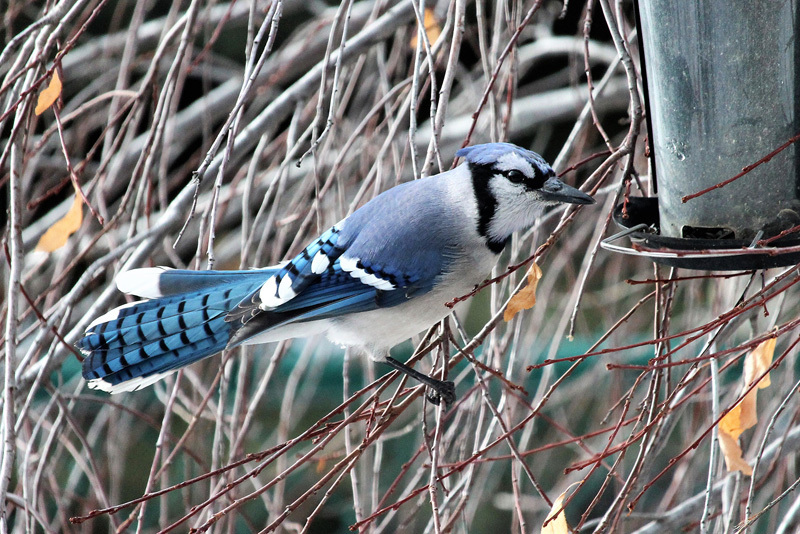 Among the 210 birds that were counted during Chestermere’s first Christmas Bird Count on Dec. 29, was a Blue Jay. Organizer of the Christmas Bird Count Don Cassidy said he has seen two Blue Jay’s flying around Chestermere throughout the last couple months. He frequently puts peanuts in his bird feeders for them to take away and stash. Photo submitted.